Agostino, an upper class and wealthy young boy, enters in the turmoil of adolescence, during a vacation with his beautiful mother (played by a gorgeous Ingrid Thulin, one of Bergman’s favourite actressess). Their bond is very strong, nearly symbiotical, but it’s menaced when Agostino’s mother finds a lover, her husband died before the beginning of the events told here, the libertine Enzo. 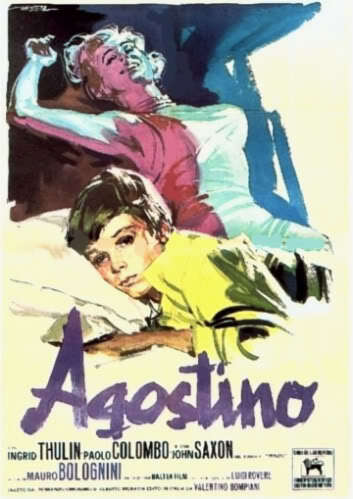 Agostino, then, painfully feels estranged from the world in which he lived in until then, and seeks new horizons and adventures with a pack of lower class and poor boys, led by the sinister Saro. Agostino is one of the earliest movies taken from the work of Alberto Moravia, a very prolific and influential Italian writer in both literature and cinema (his novels have ispired truly silver screen masterpieces like “The Contempt” by Godard and “The Conformist” by Bertolucci and a lot of minor movies across the years). This movie is, at the same time, a very corageous and good movie and, partially, a missed opportunity. It’s a courageous movie because, in 1962, a lot of the themes that are dealt here were very hazardous and risky: stuff like the difficulties of the coming of age, a very brutal and uncensored portrait of life, without any censorship on the sexual side of it, including the bleak ones like Saro’s ambiguous taste for young boys, and a frank and open psychoanalytical view, in particular regarding the Oedipus complex, weren’t exactly mainstream themes or easy ones at that time. 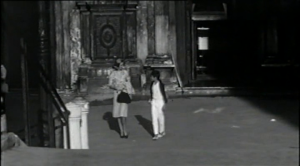 The movie is also very refined and classy, the casting choices are excellent (in particular Ingrid Thulin is perfect in portraying the very lovely but also ambiguous, frisky and vain mother of Agostino) and so is the musical score, a beautiful and perfectly fitting Erik Satie and his Gymnopedie. On the visual side, there are very beautiful and inspired shots which gives to Agostino a subtle melancholic tone of great introspective value and they are overall aestetically very refined and tasty. However, the movie, sadly, doesn’t bring on the screen it’s full potential. Bolognini decided to rely too much on the novel and on it’s written text (of very high quality and beauty), since he often accompains the most important and emotionally impacting scenes with the voice of an external narrator who reads some quotes from Moravia’s book. This works overall fine, but is a big flaw in the terms of visual rendition. It’s like Bolognini didn’t trust completely his work as a director and decided, thus, to make it more stronger with the aid of the book and it’s textual literary source. The direction, also, sometimes is very rigid and the overall trend is to accompain the evolution of the story instead of giving a truly personal view, with emphasys and emotion, to it. 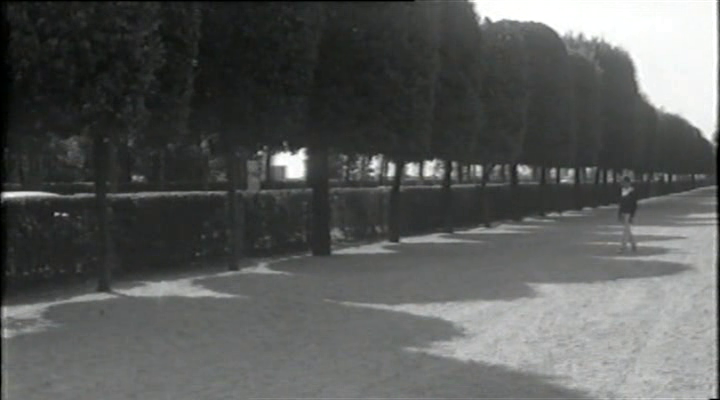 This choice is compatible with Moravia’s, who has been an acute chronicler and documenter of the human inner life and it’s deepest recesses, writing style, which is a mix of closeness and distance, often surgically cold, but on the other hand, this way of directing dampens the rhythm and dims the tones of the movie a bit. However, the difficult initiaton of Agostino to adolescence and life, the painful realization of the violence inherent to the masses and nature and, at the same time, of the cold vacuity of the upper class which he belongs to, the journey that makes him explore two very different ways of living but both very cold and crushing towards the individual and indifferent to his destiny or truth, and thus Agostino’s silent decision to not belong to either or them and try to find, with pain and difficulties, an authentic entrance to adulthood and life, still is a very powerful emotional and intellectual experience, a very rich and rewarding one, which can’t leave indifferent. 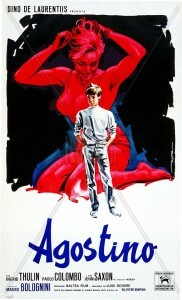 Even if it could have been done better, Agostino is an higly reccomended movie to watch.